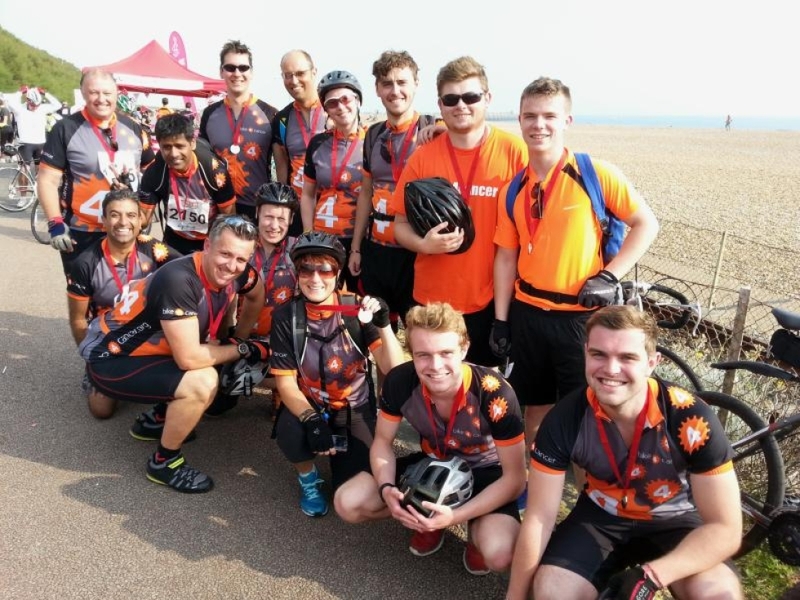 Join 5,000 other cyclists on Sunday 15 September 2019 for the Bike 4 Cancer London to Brighton charity bike ride! This event usually sells out very quickly so please register early to secure your place. Given this event is limited to 5,000 riders, the route is less crowded than the larger London to Brighton rides. In our opinion, the lower numbers arguably make for a safer and more enjoyable ride. AND our ride includes a scrumptious and free buffet lunch! The 55 mile route starts on Clapham Common and travels through Mitcham, Carshalton, Chipstead, Banstead and Haywards Heath. 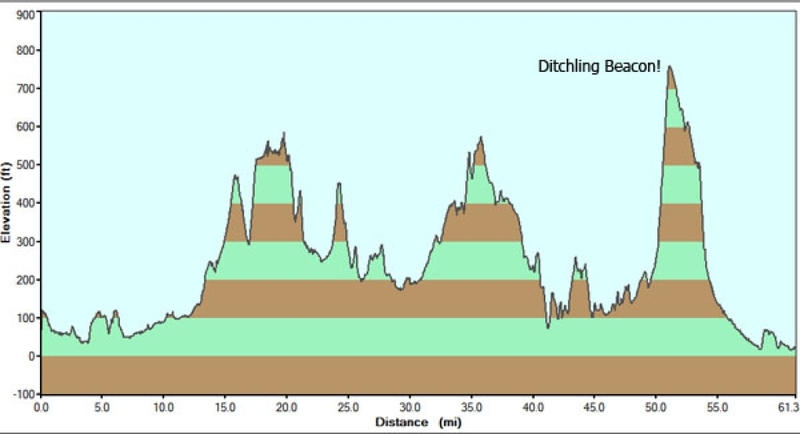 Riders will have to climb the infamous Ditchling Beacon (814 feet above sea level) before a long descent into Brighton and the finish line in front of Brighton Pier. The entry fee increases the nearer it gets to the event date. Consequently, it makes sense to register early. Your entry fee includes a buffet lunch mid-route, water stations, finisher's medal, breakdown assistance, medical cover, signage and marshalling. 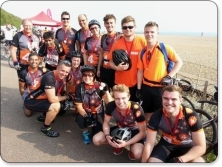 Bike 4 Cancer riders also qualify for an exclusive £5 off voucher. Please get in touch with us using the form below to get this code! PLEASE NOTE: As there is an additional cost to Bike 4 Cancer for you to take part (on top of your entry fee), we ask that you raise a minimum sponsorship fund of £150 to take one of our places. Due to rider number limits, places for this event sell out very quickly. To secure your place, register here or click on the blue link below! Once you're registered, we will contact you to set up your personal fundraising page! Any questions? Visit our Frequently Asked Questions page which should answer all your queries. If there is something else you need help with though, please get in touch via the form below. Thanks!